In my last column, I took a look at a handful of space operas; this time around, I wanted to jump genres and look at fantasy—particularly some of the earliest tropes. There’s been a handful of relatively recent novels, such as Susanna Clarke’s Jonathan Strange & Mr Norrell and Katherine Addison’s The Goblin Emperor, which draw on European folklore for their inspiration. While folklore was a major inspiration for fantasy when the genre was beginning, this changed in the middle of the twentieth century, when J.R.R. Tolkien’s Lord of the Rings provided a roadmap for the next fifty years for genre literature. However, new books such as Mark Tompkins’ The Last Days of Magic and Mishell Baker’s Borderline look back to the genre’s roots in new and interesting ways, demonstrating that solid fantasy novels don’t need to take place in a secondary world. 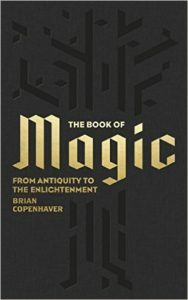 The Book of Magic: From Antiquity to the Enlightenment, edited by Brian Copenhaver, provides a nonfiction perspective on the genre. Fantasy literature has a long and distinguished canonical line, which ultimately stretches back to humanity’s earliest stories told around fires late at night. The earliest works of recognizable fantasy literature drew heavily on the mythos of Europe. Early authors such as George MacDonald and William Morris wrote about fairies and other assorted supernatural creatures in a new frontier for literature. 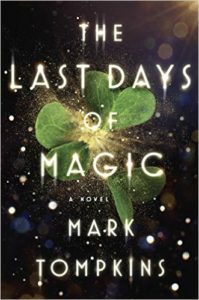 In his debut novel, The Last Days of Magic, Mark Tompkins takes the fantastical world depicted in folklore and European fourteenth-century history and distills them into a single story. Tompkins runs with the idea that an entire ecosystem of the supernatural rose from God’s creations and His Angels, from Fomorians to Nephilim, Sidhe, Elioud, gnomes, Pixies, Leprechauns, Dryads, and others, as well as a goddess, Morrígna. As the Roman Catholic Church sought to consolidate its hold over Europe, it began to exterminate these other creations, employing teams of mercenaries to do their dirty work. The creatures were seen as an aberration of God’s will: mistakes that held humanity back from recreating Eden, or at least returning to Heaven. Tompkins’ novel largely takes place in Ireland, the last frontier of magic in Europe, as the Catholic Church seeks to complete its bloody task. The story begins in 2016, but is set in the 1300s, leading up to an invasion of the island refuge, and the interpersonal drama of those involved. I can’t help but wonder if the book should have simply remained in the 1300s, rather than bookending the story in the modern era. Tompkins’ book is rich with detail, beautifully written, and presents a fascinating backdrop from which this story plays out. The drama unfolds from all quarters, from the exorcists who are seeking to purify the continent, to the half-goddess who oversees Ireland. The resulting story is tragic, horrifying, and invigorating all at the same time. What strikes me the most about his story is the intermingling of history and fantasy—indeed, in the introduction to the novel he notes that mere centuries ago, much of this book could be taken as a truthful story. 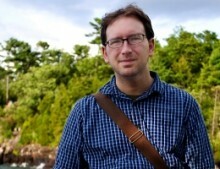 While second-world fantasies such as J.R.R. Tolkien’s The Lord of the Rings and George R.R. Martin’s A Song of Ice and Fire have largely defined our current understanding of “fantasy,” Tompkins demonstrates that the elements from which the genre first came still have significant value to storytellers. Mishell Baker has also produced a debut novel this year: Borderline, a work which fits comfortably next to Tompkins’ The Last Days of Magic. Like Tompkins’ book, Borderline draws heavily upon the earliest fantasy traditions. Unlike The Last Days of Magic, Borderline is set in modern-day Los Angeles, following Millie, who is recruited to work for the Acadia Project, an organization designed to help patrol the border between our world and a parallel fantasy world. In this novel, a prominent fey goes missing, and as Millie and the Arcadia Project dig into the disappearance, they realize that what they’re dealing with is a complicated plot with ramifications that will impact both worlds. Millie isn’t your typical protagonist: She was diagnosed with borderline personality disorder, and is missing both legs, the aftereffect of a suicide attempt. This is notable, in that impaired characters rarely feature so prominently into a narrative. Millie is abrasive, vulnerable, troubled, and dedicated, all at the same time. 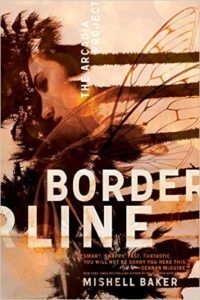 As a result, Borderline is a novel that is both invigorating and eye-opening. With this novel, Baker unloads with both barrels, and the inclusion of the fey and the actors of Hollywood feels not at all out of place: Both are creatures of the fantastic, where the unreal becomes real, and live where you’ll find a populace that doesn’t quite fit in anywhere else. Borderline moves quickly, with short chapters and rapid-fire dialogue and narration. This is also a book that demonstrates that the earliest tropes of fantasy needn’t be relegated to retrospectives on the genre or fantasies set in the Victorian era: They can be fully fleshed, entertaining urban fantasies as well. Both Borderline and The Last Days of Magic deal with some of the genre’s fantastical roots. While reading both, I picked up a nonfiction book that dealt with this very subject: The Book of Magic: From Antiquity to the Enlightenment. In my inaugural review in January 2015, I took a look at Katherine Howe’s Book of Witches, which is an anthology of historical works that looks at the historical basis for witches. This book follows the same model, although the physical tome is a bit more impressive. With excerpts from books of the Bible to classical literature to philosophy and theater, it provides a fairly extensive overview of some of fantasy’s basic roots. There’s a lot to take in, which makes this a useful read for anyone who’s interested in the basis of the fantasy genre. I’ve found this to be a useful book to look over; genre tropes are akin to a game of telephone, passed from story to story until the original is lost or horribly corrupted. There’s a range of content represented here, from The Holy Bible to Shakespeare: it’s a decidedly Eurocentric book. In his introduction, Copenhaver notes that “Applying the word ‘magic’—free and clear—to something non-Christian and non-Western (like ngua) will be difficult, maybe impossible,” and defers this argument to another of his books, Magic in Western Culture. I’m not sure how accurate that is, considering the religions and beliefs of populations elsewhere around the world. Nevertheless, for authors writing in the European tradition of fantasy, this is a useful guidebook for understanding a couple of things. In his introduction (and backed up throughout the book), he paraphrases author Max Weber by noting that magic is ritual, where religion is ethics: Essentially, magic is where the rubber meets the road between belief and the unexplainable. This is certainly something which guided Tompkins’ book, where spellcasters and witches used magic to serve their own ends, either for the church or within its belief system. Baker’s novel largely ignores religion, but uses many of the same tropes. What would make The Book of Magic useful for authors is by helping to show real source material within these traditions: how unexplained forces were wielded or interpreted by writers, which in turn became the basis for a literary genre. In many ways, it’s an excellent resource for understanding how a world works, and the environment within which magic would be used. While certainly not aimed at genre writers, it’s an interesting volume for genre scholars or writers looking to get a leg up on their world building chops—I found it most useful to dig a little more into after reading The Last Days of Magic, which draws heavily on biblical material. While most fantasy novels don’t do this, it represents an interesting look under the hood at what powers genre literature at its most basic elements.